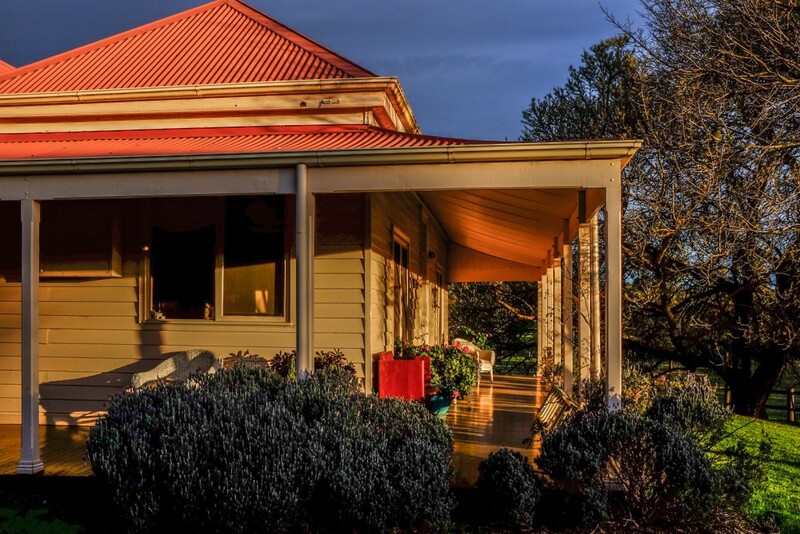 When Edwina and John approached us for ideas on how to improve the natural lighting in their cottage, we couldn’t wait to get out and visit them in their bush setting in the Plenty Valley, just below the great dividing range in Victoria. 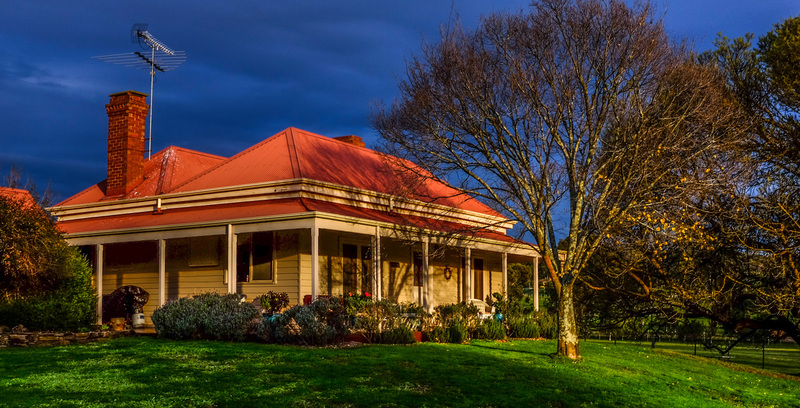 As you can tell they take a great pride in their property, and needed a lighting solution that would compliment the character and charm of their home, which was constructed in the nineteenth century cottage. When we got there we found they already had a traditional square skylight that was losing a lot of heat and not delivering very much light at all, It was old and tired and ready for the dumper! Into the bargain it was way too small for their spacious kitchen area. and poorly constructed out of materials that had a very poor light reflecting surface. We were asked to provide a solution with more architectural appeal, that would not only bring light into the kitchen, but add a sense of space, while complimenting the traditional pine lined walls that many cottages of that era still have. Clearly the first thing to do was to great rid of the old skylight and bring in new technology which delivers light without heat. The choice of a pine lining for the shaft drew us towards the VELUX range which are themselves made from Baltic pine. Having the central window slightly wider than the other two, is a traditional architectural technique to add interest to the window. In this case it also allowed us to create an overall opening size which matched the shape of the room. 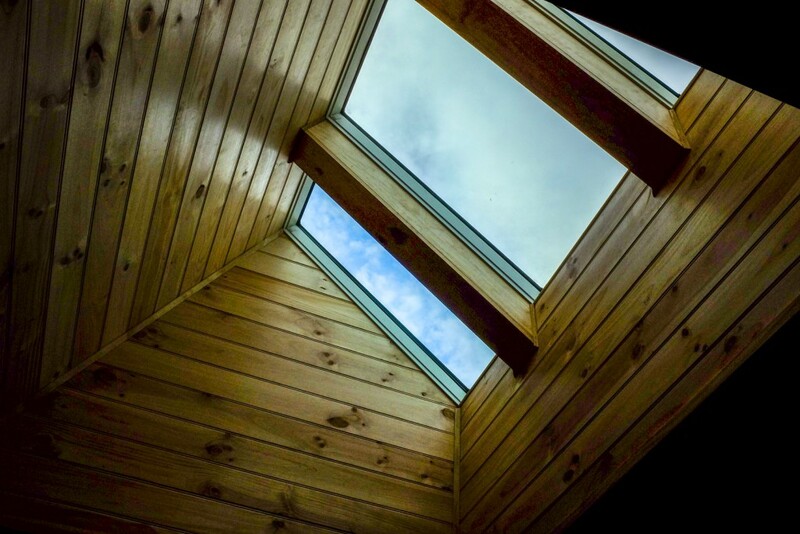 It was decided that the skylight didn’t require blinds for light control, although it was noted that these could be fitted later. The light well was also opened up for maximum impact, with the back wall angled back into the room, light delivery was improved to get even light through out the room. The pine lining was installed horizontally to match the wall construction and finished with a 65mm strap to match the finishes around the room. 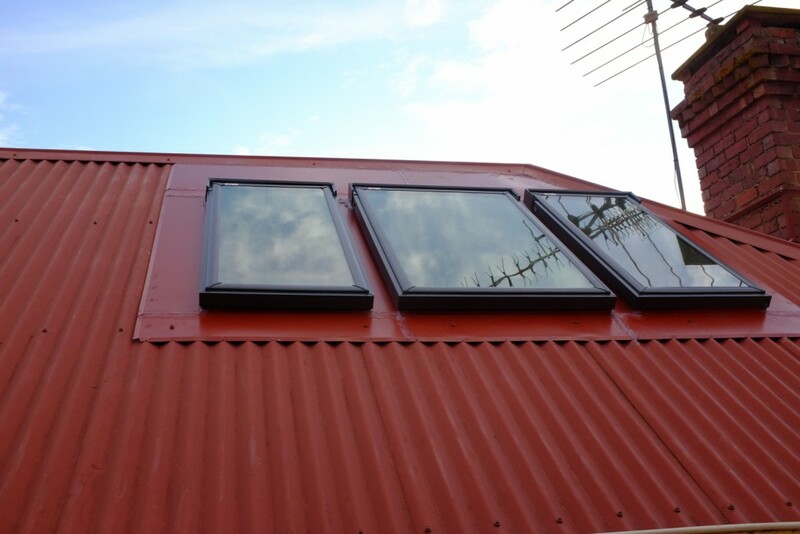 A custom flashing which exactly matched the roof material was the obvious choice for the external finish. 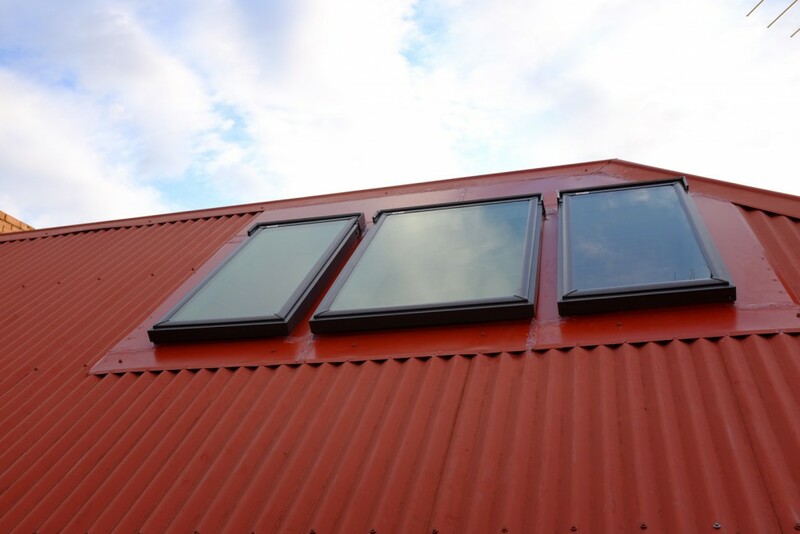 With the slimline design of the VELUX windows the result on the outside was as sensitive as the results inside were breathtaking. We’ve had lots of ‘Wow’ comments already from friends who have seen our new roof feature! Thanks again, especially to Michael and Blade. Baltic Pine Revealto match character of Period Kitchen Below.